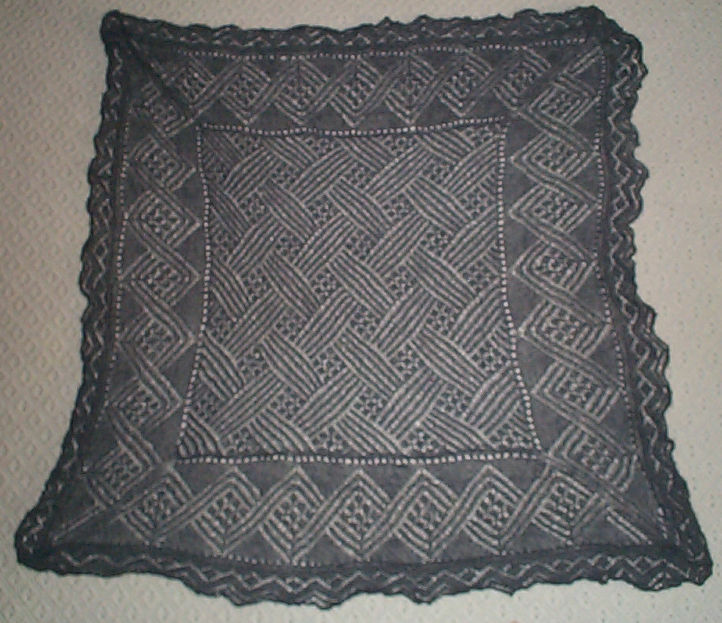 CASHMERE LACE SHAWL – FINISHED! Reminder – every NYT file I posted a link to earlier this week is free-for-view to people registered at the New York Times website. I didn’t pay a cent to look at any of them. If you are getting a paid access message it means you are not logged in. Go to the main NYT page and register. It’s free. I’ve been a member since the site went live and not once in all that time have I received spam traceable to that source. 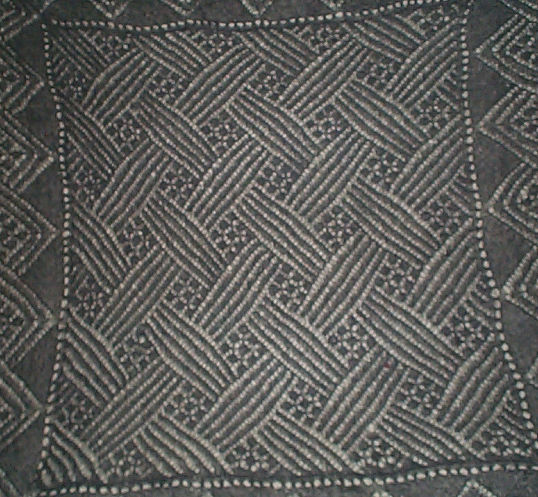 It measures approximately 100cm (39 inches) square in this state. I’m sure blocking will add another couple of inches as it stretches. Some detail shots, too! 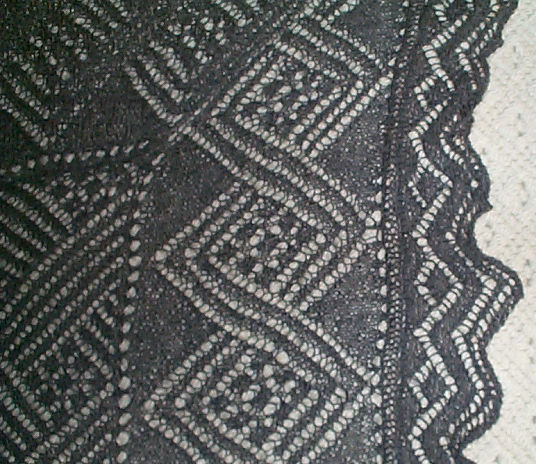 The patterns were adapted from charts appearing in The Knitted Lace Patterns of Christine Duchrow, volumes I and III. I’m pleased with the way my corners worked out. They’ll display better under blocking, but the designs meet up at the corners without truncation. 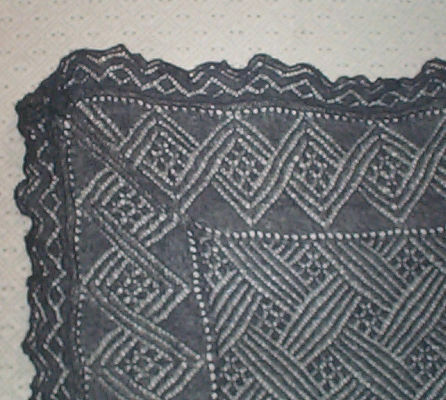 The edging is a bit narrow to be in proportion, but I think that blocked it will also display better.